Wood Stone Craftsmen will measure your area and precisely cut and fit cabinetry to best utilize that space. Additionally, Wood Stone Cabinetry can finish your cabinetry with any of your desired colors and finishes and we’re also able to custom mix any paints and stains to create a finish that’s unique to your project. We also proudly represent laminates from top manufacturers, including Formica, Wilsonart, Pionite and Nevamar. 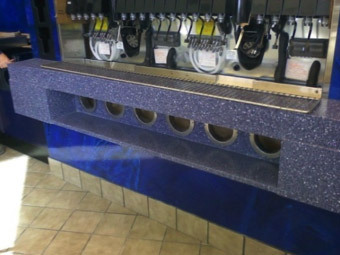 Our custom solid surface tops are just that, custom. 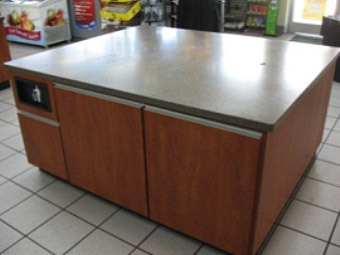 From our wood cabinetry craftsmanship to the materials and products we use, our custom solid surface tops are designed to meet your specific needs. 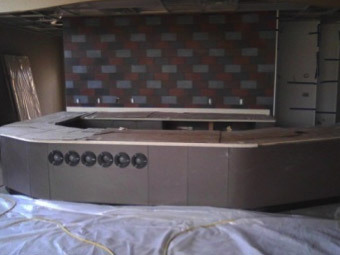 At Wood Stone Craftsmen, we’ll work within any parameters you provide, and with any products or materials you prefer. We offer a complete line of products from Avonite, Corian, Formica, Hanex, Hi-Macs, Polystone, Livingstone, Swanstone, Staron, Wilsonart, Gemstone and Icestone. Before construction begins, we provide a computer layout, to visualize the project. 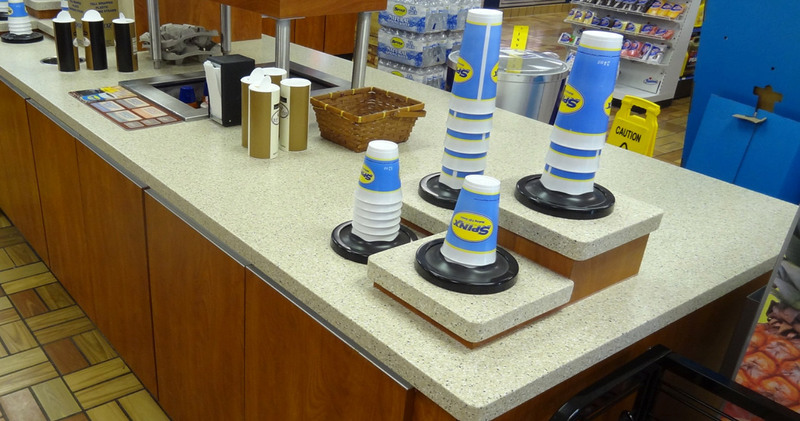 To ensure a perfect fit for all solid surface installations, we’ll provide on-site templating. Professional delivery from Wood Stone Craftsmen makes delivery simple. You’ve probably seen our custom wood cabinetry during your everyday life. 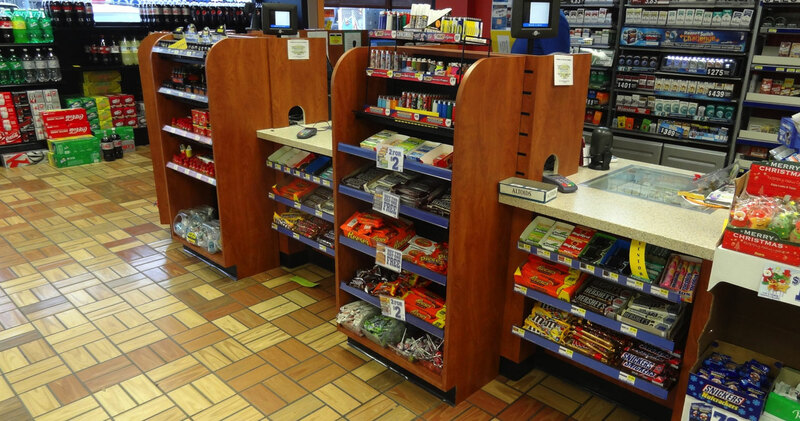 We’ve created custom wood cabinetry for a variety of commercial applications and businesses, from restaurants, to convenience stores, amusement parks, home companies and various retail facilities. 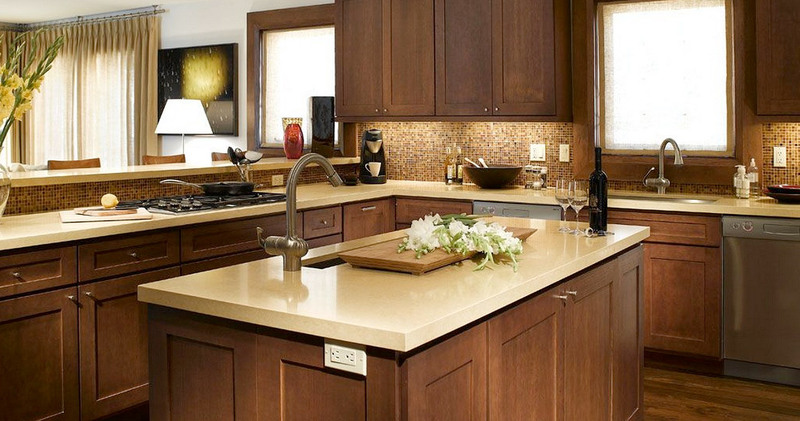 With years of knowledge and experience, the team of professional craftsmen at Wood Stone Cabinetry is second to none. Take a look at our work, we’re proud to share examples of our projects. For a cabinetry job done your way, the right way, by friends who want to earn your business – contact Wood Stone Cabinetry and get started today.